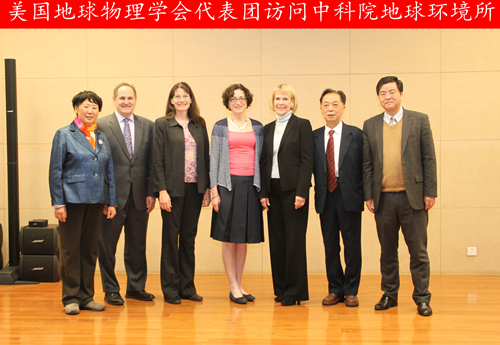 As the invitation of Prof. Zhisheng An, the American Geophysical Union (AGU) delegation visited the Institute of Earth Environment, Chinese Academy of Sciences (IEECAS) to discuss future cooperation On April 2, 2015. 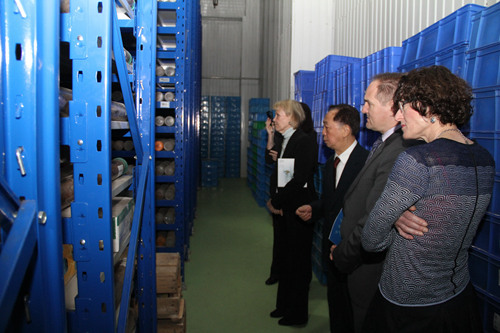 The delegation included AGU President Margret Leinen, CEO Christine McEntee, chief operating officer Frank Krause, and international affairs secretary Susan Webb. Prof. Junji Cao, vice director of IEECAS hosted the bilateral meeting. 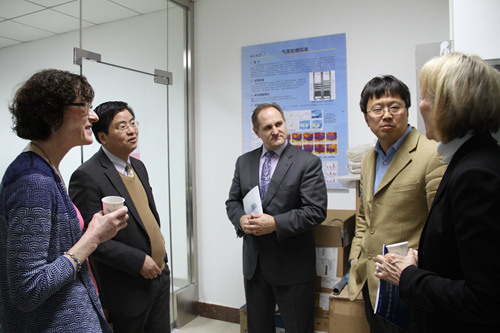 Prof. Zhisheng An welcomed the AGU delegation to the institute. Prof. Weijian Zhou, the director of IEECAS, gave a brief introduction about the history of IEECAS and some highlight research progress. Margret Leinen, the AGU president then gave an overview of AGU's global activities, AGU members, publishing journals and other aspects of AGU. 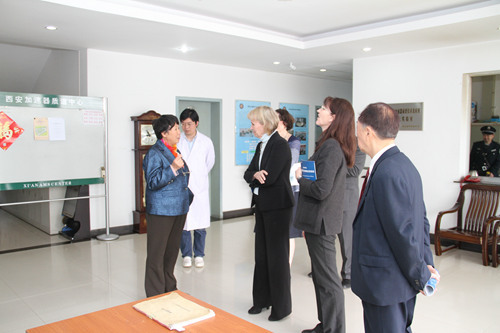 She put a strong emphasis on the growing impact and interaction with Chinese scientists, and the need for AGU to better integrate with these communities. 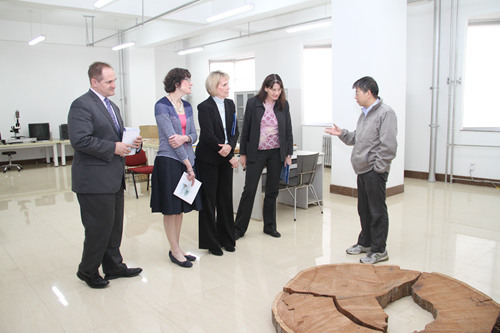 After the meeting, the AGU delegation visited the laboratories of IEECAS, including Surface proceeding and chemical weathering Lab, Aerosol and Environment Lab, Speleothem Lab, Stable Isotope Lab, Tree Ring Lab, Core Repository and AMS Center. They all spoke highly of the research works of our institute. Following this, the AGU delegates and participating researchers and graduate students from IEECAS engaged in a broad discussion of AGU, Chinese Earth science organizations, the publication process and a wide range of other topics. President Leinen said, this visit was essential for AGU in the future work in China, and offered a good opportunity to cooperate with Chinese geophysical organizations. The American Geophysical (AGU) is a non-profit scientific organization founded by the National Research Council in 1919. The main mission of the AGU is to provide a platform for Earth scientists to promote the benefits of their work to society, which is achieved through a broad range of publications, scientific meetings and key interactions with the public and policy makers.